Easter is right around the corner! Are you still looking for the perfect gift to complete the Easter baskets for your children or grandchildren? Look no further! 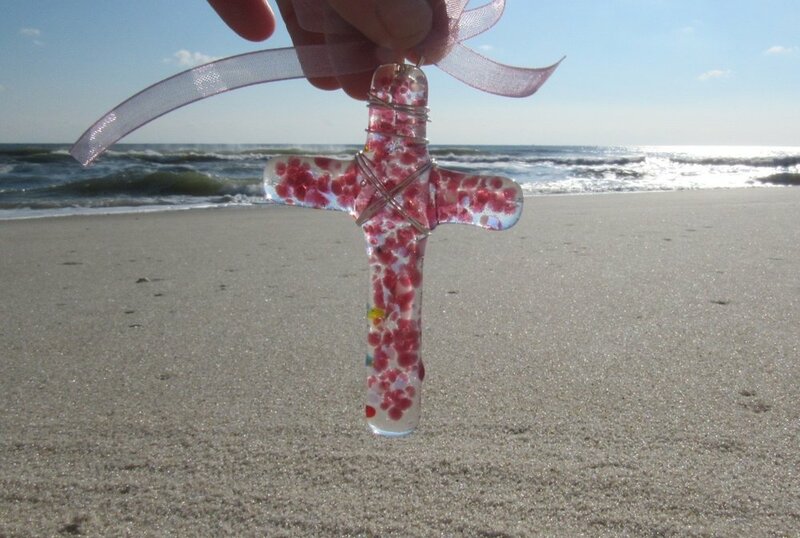 SwellColors offers 100% locally handmade, beautiful glass cross ornaments that your family will treasure always. Each ornament has a sprinkle of sand from Jerusalem added to it that gets melted into the glass as it is fired in our kiln. These ornaments are just so precious and unique, made right here in our Surf City studio, and they come in a variety of colors in both a large and a small size. Our Holy Land Sand Ornaments really sparkle in the sunlight, and look fabulous year round hanging in your window. Stop by SwellColors Glass Studio in Surf City, NJ to pick up yours today! Or order your large crosses or baby crosses online and we can ship them right to your door!